Consumer leasing group Thinksmart (TSM) recently announced a proposed off-market auction to repurchase shares from investors at $0.31 to $0.42 per share. The company, which mostly provides point-of-sale financing for laptops and televisions at electronic retailers, sold its Australian business this year, and now has $0.245 per share in cash and a business in the United Kingdom potentially worth that again. Shareholders now have a decision to make. Firstly, do they want the buyback to take place at all? Secondly, if it does go through, what price do they want to tender their shares at? The answer to the first question might seem simple. No one is being forced to take the deal and shareholders can tender their shares at any price they want within the range. If your offer gets accepted, then you get your cash and can go on your merry way. If the buyback goes through at a lower price, you will benefit from the value accretion that arises when shares are bought back for less than you think they are worth. Sounds straight forward then? Of course, there is a downside. And it's one you need to think long and hard about. Founder Ned Montarello owns 21% of the company and has more than a few friends on the register. He's not going to participate in the buyback, which means it will increase his ownership to the point where minority shareholders will have very little say in the future of the company. We've no evidence that Montarello intends to treat minorities unfairly, but control is not something you should give up lightly. 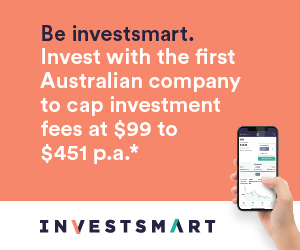 If the deal goes through and you don't participate, you'll be left in a vehicle with a dominant shareholder, a company that might not stay listed in Australia and with even less liquidity in the shares than exists today. Yes, you'll get some value accretion but they are some fairly serious risks to be taking on. So our view is that we either need to participate in the buyback at a fair price or try and stop the buyback from taking place at all. If they want control of the company, they should pay us an appropriate price. At the bottom end of the range, $0.31 is a joke. The company has $0.245 of cash and a business that management expects to make $0.02 per share this financial year (even after legacy corporate costs eat up 40% of earnings). I don't know about you but we're not in the business of selling companies for less than 4 times earnings. The upper end of the range, $0.42 per share, is just fair. It values the UK business at $26m, or 8.5 times earnings, which is reasonable for a business of this quality. You get the liquidity to exit your investment at a price higher than recent market prices and don't have to worry about a potential delisting. So at $0.42 we would take it. At anything less than that, we wouldn't. And here's where the structure of the buyback causes all sorts of problems. The bidding mechanism is designed to get the lowest bids possible and, in any case, management has complete discretion over how many shares are bought back and at what price. There's a very serious risk that the buyback goes through at a level less than our minimum acceptable price. Montarello gets to increase his control over the company at a cheap price and we get stranded as a minority shareholder. It's enough of a risk for us to vote against the buyback. The idea of returning excess cash to shareholders and giving minority shareholders an opportunity to exit is a sensible one. But we need a fair price, and the transaction as currently proposed is unlikely to deliver that. If you are a member of Hot Copper or any other investor forums, please feel free to share this around.